Looking for a job in Japan? You might want to start off by writing a resume by hand and using your hanko (personal seal) to prove its authenticity. If you actually get hired, you may need to get used to faxing documents to clients. Japan enjoys a reputation as being home to high-tech gadgets and advanced robotics. But if you look more closely into corporate culture, offices remain bound to old-fashioned, paper-based customs. 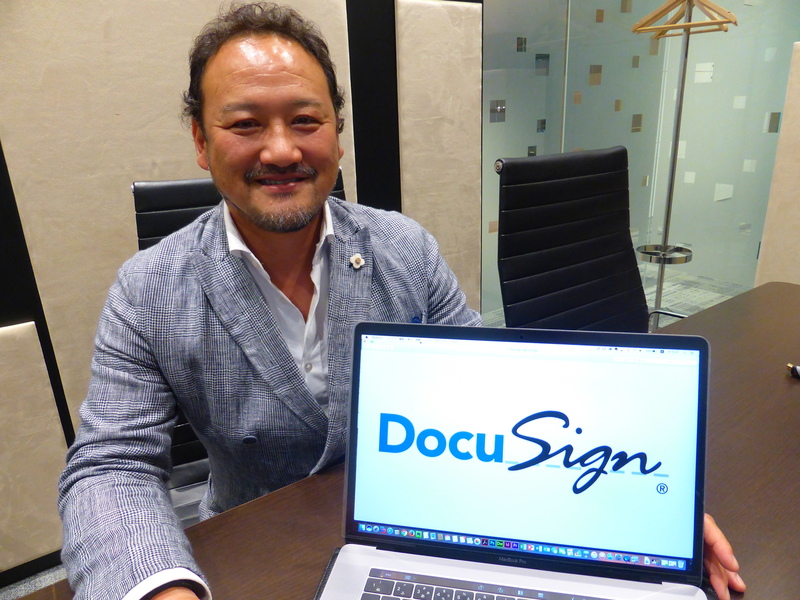 Launched in the U.S. in 2003, DocuSign has emerged as a major platform for digital contracts and signatures, used widely by businesses in the U.S. and other Western countries. Its Japanese subsidiary was established in November 2015. “I think this 13-year gap between Japan and the U.S. represents the gap in people’s recognition” toward a paperless society, Koeda said. Although the advent of new digital technologies has brought on many changes, Japan is having a hard time going paperless. Statistics from the Japan Paper Association show that overall demand for paper in the country has been gradually declining since 2006. But demand for paper used for documents in 2016 increased 1.3 percent from the previous year to 1.84 tons. The association forecasts that strong demand will continue in 2017. 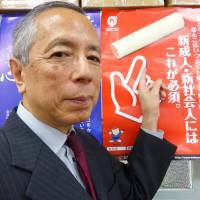 But Koeda said reducing the amount of paper at offices is just the beginning of a larger goal — improving Japan Inc.’s notoriously low productivity. He asserts that the business community’s sluggish digital makeover sits at the root of inefficiency. Japan’s productivity-per-hour in 2015 ranked 20th among 35 Organisation for Economic Co-operation and Development (OECD) countries, according to the Tokyo-based think tank Japan Productivity Center. Japan has been the least productive among the Group of Seven industrialized countries since 1970, the survey showed. Increasing productivity is a pressing concern, where a labor shortage has become critical amid a graying and shrinking population. In a bid to improve productivity, a government panel on labor reform, chaired by Prime Minister Shinzo Abe, in March developed an action plan, including reducing overtime and promoting more flexible work styles such as telecommuting. Koeda said going digital is key to achieving the government’s labor reform goals, adding that many work-related issues, such as the shortage of child care facilities and illegal unpaid overtime, can be solved if companies use digital technology more effectively. “The number of children waiting to get a slot at child care facilities will decrease if more parents can work remotely from home,” he said. 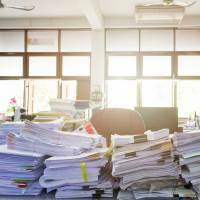 Working with digital files also allows employees to keep track of who used which file and when — data that could become evidence if they are forced to work illegal overtime, he added. 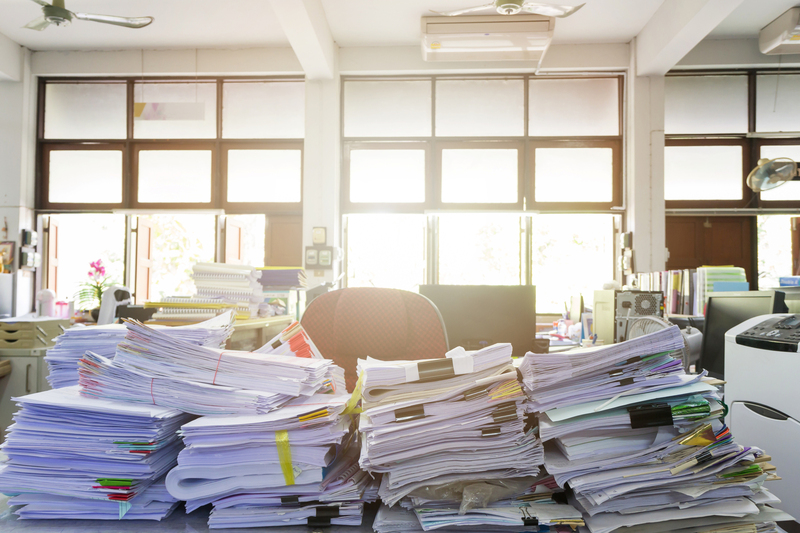 Despite the need for reform, it is difficult for companies to go completely paperless, especially those involved with contracts, said Junichi Nagahama, general manager at IT systems vendor NRI Netcom’s digital marketing business department. Since 2005, NRI Netcom, a subsidiary of business consultancy Nomura Research Institute, has made most of its operations paperless by using tablet devices and teleconferencing. Going digital helped the firm make massive cuts to costs for copying documents, as well as expenses for travel between offices in Osaka and Tokyo for meetings, Nagahama said. It also enabled workers to enjoy more flexible and time-efficient work styles, including telecommuting, he added. 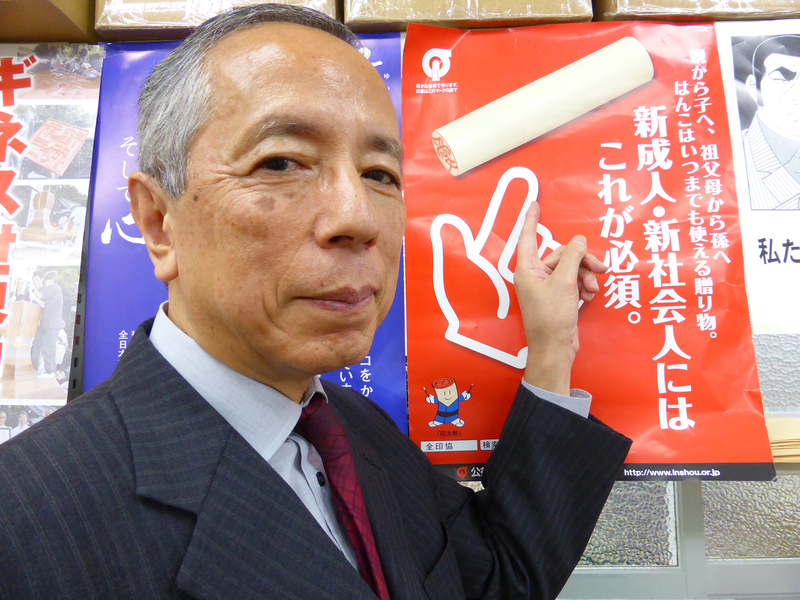 Still, Nagahama said physical documents remain the norm for communications with clients. The lack of common infrastructure for exchanging digital files securely and conveniently has prevented companies from going completely digital, Nagahama said. Many people, especially senior managers and those operating smaller businesses, prefer paper-based transactions, feeling more comfortable keeping a hard copy, he said. To do away with customs based on paper and hanko is “next to impossible,” Nakajima said, adding that personal seals have been considered official authentication since a Meiji government policy put in place in the early 1870s. Although there is no law requiring people to own a hanko, a personal seal registered with one’s municipality is often required when signing contracts for things like buying a used car or getting a mortgage. Business owners are also required to register an official seal when they start up. 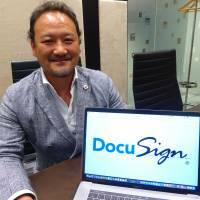 But DocuSign’s Koeda isn’t so sure. He warns that companies will lose competitiveness if they don’t modernize.